Mark Wellman, adventure athlete and motivational speaker, a former Paralympian and Park Ranger, will demonstrate his innovative climbing techniques and sports gear adaptation for excited Expo attendees in both Atlanta and Los Angeles. Then, armed with this know-how and outfitted in adaptive equipment, adventurers of all abilities will blaze their own trail…up the 25’ climbing wall. 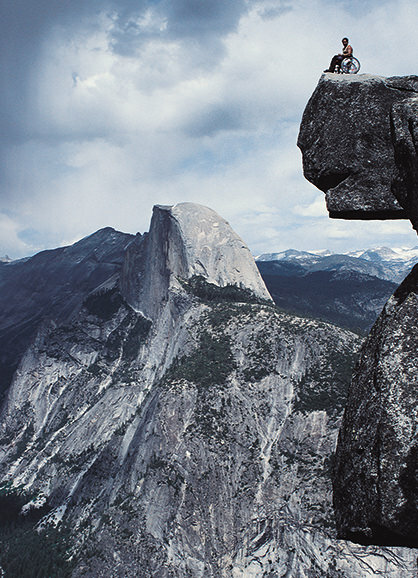 Wellman became the first paraplegic to summit El Capitan and Half Dome in Yosemite National Park, and has since assisted with the successful ascents of other climbers with physical disabilities. He now dedicates his time to improving the quality of life for adults and children with disabilities including our wounded war veterans. Adaptive climbing is not just for the experienced athlete with disabilities. It is for anyone who has the desire to explore and try something different. 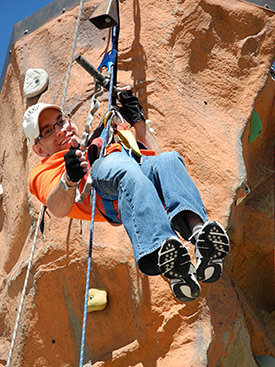 Using Wellman’s custom climbing equipment, anyone with a disability can participate. 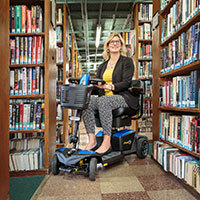 “Everyone faces the world with different abilities and disabilities, but we all have one goal in common…to break through our own barriers,” says Wellman. Rock climbing is a powerful tool in building confidence and reachable goals. It demonstrates how a successful climb is the result of fundamental teamwork. Climbing is not only a fun and challenging sport, but provides tremendous health benefits by improving strength and flexibility. Visit www.nolimitstahoe.com for more on adaptive climbing.